Leane Durand and Tammy Zdunich have lived experience with Mental Wellness and Brain Illness. This weekend came from their shared desire to shine light on a dark subject. They both have a history of (and current struggles with) mental illness, and want to use their platforms and years as entrepreneurs to dispel myths, shame, and preconceptions that others hold. -You hope to have counselling during the retreat to improve your current mental health struggles. Our intimate (under 20 attendees) weekend will be small group conversation and powerful education. Please join us on Tuesday January 15th at Thrive Juice for a yoga class with Rhi as a collaboration with the Saskatoon Sweat Club! The class will have a special focus on the connection between movement and mental health. It will also provide some tools to help manage anxiety, stress and depression as a fundraiser for Life is Worth Living. We are so excited to move, breathe and sweat with you, while engaging in conversation that helps end the stigma around talking about mental health! 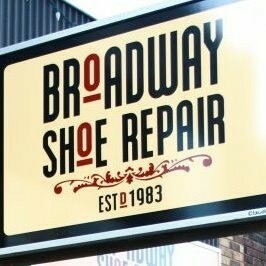 Broadway Shoe Repair has been kind enough to host us for an afternoon on Sunday December 10th from 12:00 to 5:00 for a pop-up shop to spread our message before the holidays - thank you Broadway Shoe Repair! Come on down and say hello, see what our apparel is all about, and support a cause we are so passionate about. Buy your loved one a tee for Christmas, start the conversation surrounding mental health and suicide, and remind the ones you love that life is worth living! We will have Crew Necks, Tees, Toques, and Bracelets in stock! Broadway Shoe Repair also has many great Christmas ideas - Blundstones, Darn Tough Socks, or Birkenstocks for your winter getaway. Check a few loved one's names off your Christmas list!